Don’t you just love glamorous women? Wouldn’t you love to BE one? I think we can all agree that life is better with a little GLAM and sparkle! The good news is that glamour is attainable for everybody – and it doesn’t have to cost an arm and a leg. 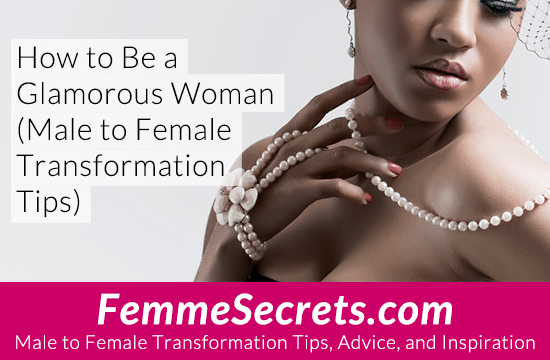 In this article, I share 8 easy ways to look and feel more glamorous as your feminine self. 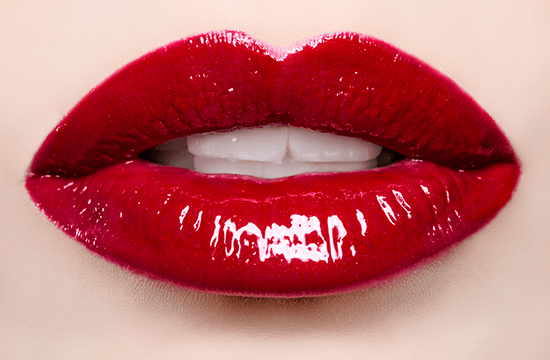 Nothing says glamour like classic red lipstick. It can transform the most casual outfit from basic to bombshell. If you don’t already own a red lipstick, go out and buy one today! Sleeping on a silk pillowcase will make you feel like sleeping beauty – but it also has important beauty benefits. 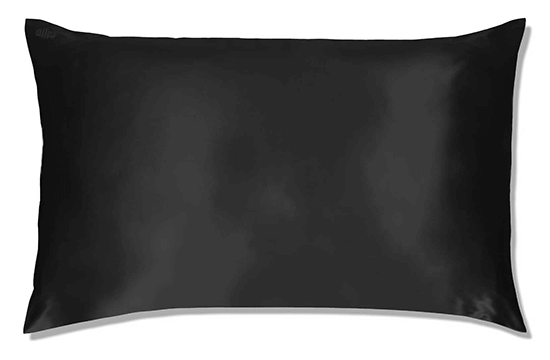 A silk pillowcase reduces hair breakage and helps prevent face wrinkles. Look at any glamorous woman and I guarantee that she has pretty, well-groomed nails. My favorite trick for a perfect manicure? imPRESS nails. They’re available at any drug store and are incredibly easy to apply – just press and go! Silky, smooth skin is a glamour must. Use a luxurious body scrub like Luxe Scrub to exfoliate from head to toe. If you shave your legs or body, this also helps prevent ingrown hairs. Glamour isn’t just about the way you look – it’s the way you act and conduct yourself, too. Manners and proper etiquette are important. If you need to brush up on these skills, be sure to check out my article on 6 Modern Etiquette Tips for Your Male to Female Transformation. Drinking 8 glasses of water per day helps keep your skin and body gorgeous. So why not make it a glam experience? 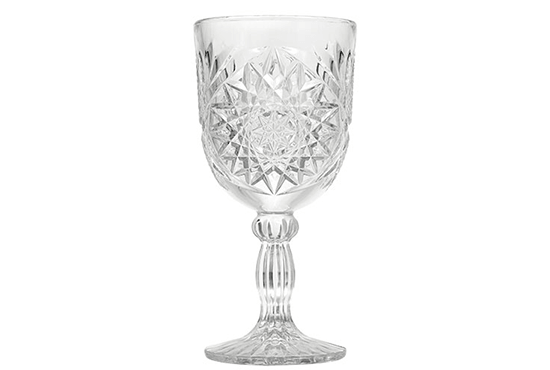 Drink your water from a beautiful crystal goblet and add a slice of cucumber or some strawberries. No glamorous woman is fully dressed without perfume. 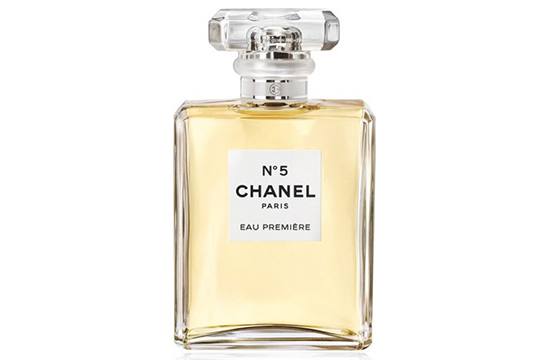 Try a classic glam scent like Chanel No 5 – or choose your own signature fragrance. The important thing is that it makes YOU feel beautiful. Your mood is the biggest glam factor, so enhance it with glamorous music. Even if it’s not your usual style, let yourself be transported by the sultry sounds of Billie Holiday or Ella Fitzgerald. Ready to add more glam to your life? Another way to add glamour is to take inspiration from glam role models. Below are my favorite glamorous transgender celebrities. Whose glam style do you admire most? Vote below and then share YOUR favorite glam photo in the comments below! Which transgender celebrity has the best glamorous style? I must confess that I did not know about silk pillowcase! 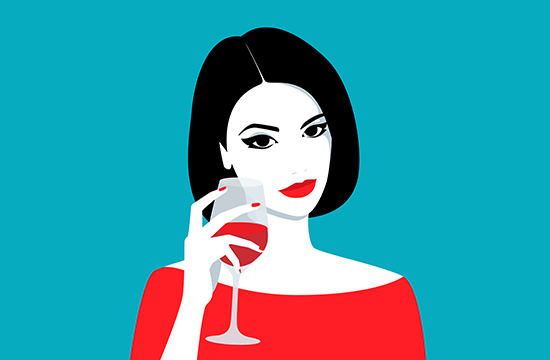 About celebrities, I love the ones from the past, like Coccinelle (Jacqueline-Charlotte Dufresnoy), Bambi (Marie-Pierre Pruvot), April Ashley and Aleshia Brevard. Even more, I prefer the hints of reality that comes from Christer Strömholm photographs: a different way of being glamorous. I voted for Carmen, since I’ve follwed her career. I think feminine manners are really important. Just as I watch what other women wear, I also try to behave with manners befitting a lady. To me it’s a lot different than how a guy behaves nicely. As a 73 year old lady now, I try to fit in as a woman in all areas including manners. Here I am the other day out doing my shopping. I’m always treated as a female. What do you think? Hey Suzy…love the Lilac Top…wear it often. As always, you look fabulous, head to toe. Love seeing you…we are both “more Mature ” gurls!! Thanks TJ – always good hearing for you! We have a lot in common I think! We both love being “gurls”! Here I am today ready to go out on the town! I voted for Jenna. What some don’t understand is these gorgeous girls started HRT at a young age and the sooner HRT is started the more effective it is. You love the articles…well, We Love Your Look!! You look amazing, young lady. At 72 yo, this yr 73, I am so encouraged by the next generation of CDers. I started in the 1960’s, it was lonely, trust me. Not to say we CDers were out there, just not ” OUT” there. Such great exposure through theater, Music & TELEVISION. ENJOY BEING YOU SARAH!! While these trans people are indeed glamorous, they don’t truly represent the trans community. They have money, time and exposure. It’s BS they get the credit and we who live in the real world don’t. Please stop promoting fakeness for reality. I understand what you’re saying here. But I’m sure these Lady don’t walk around the house all day looking like this. If you will notice it looks like they all are standing on a stage, for some kind of a event or a promotion. Maybe to promote the Transgender Lady’s that feel the same way a lot of us do.? So, I thank them for what they are doing to promote our life style. Carry on Girls.!!!! I must agree with Sherry, gals like Jenna Talackova are indeed ultra glamorous, they are more of an exception, not the rule. Looking as gorgeous as they do takes an exceptional amount of money and time that most of us just don’t have. I don’t understand how they don’t represent our community. I think it’s great that they can show us that it’s alright to be trans and have a good life. In there way they do represent the trans community. I just think that it’s not a realistic manner. Beautiful people are real and not made up. They have spent too much time and money being who they are. Real gurls like myself just want to be comfortable, beautiful in our own way and have fun being us; not admired or flashy. You can’t go wrong by wearing pink. Jenna Talackova is definitely the glamourous one. her fashion, her style, her stance. Love it….